Our next review of The LEGO® Movie theme is penned by Drew Maughan a.k.a. the infamous SilentMode. Drew's a multi-skilled AFOL (and human being) so you may know him from a variety of projects including his builds, his site of reviews and commentary silentmode.tv or his minifigure trading site swapfig.com, where you can get the figs you want by exchanging the ones you have. 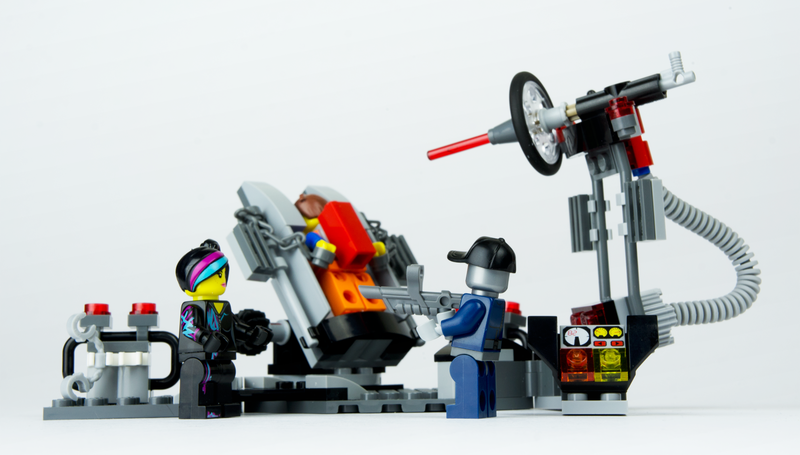 Swapfig recently succeeded in achieving a crowdfunding target so in between working on site improvements, Drew kindly found time to review 70801 Melting Room. 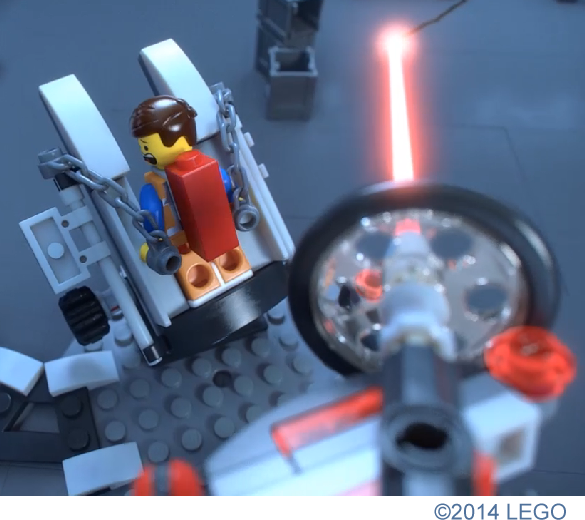 By now many of you have heard about The LEGO Movie, LEGO's first mainstream movie, which will soon be in cinemas. Many of you are also going nuts over the trailer, as well as the special Collectible Minifigures theme and the pre-release sets. I'm indifferent about the whole thing: I can take or leave the movie, just give me the parts and minifigures! In any case, the hype surrounding the movie provides a good opportunity to break outside of my comfort zone. Fortunately the name of this set, Melting Room, is mentioned on the box because - apart from what looks like a rescue mission by the prominent female - I have no idea what's going on in the scene. I'm not saying it to be funny; I really have no idea what significance this scene has. Being released so close to the beginning of the year, this set includes a few brand new elements. Probably the most controversial new part I've seen so far is what's been dubbed the "A frame" (Element ID 6054852 | Design ID 15706, classed as a wedge plate on BrickLink). Its primary use seems to be for joining elements at a fixed 45 degree angle. I'd have to obtain a few more of these to be able to experiment, but I'm not sure how useful this element will be further down the road. 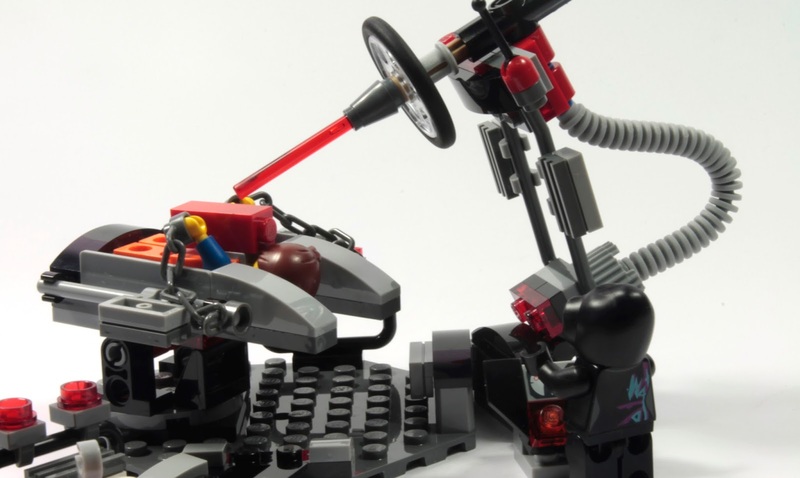 You can also find this part in greater supply in 70809 Lord Business' Evil Lair, as well as three of this year's Ninjago sets (there are eight of them in 70725 Nindroid MechDragon). The 1X2 curved slopes, also called "baby bows", were present in 2013 sets, but make an appearance in Light Bluish Gray [BL]/Medium Stone Grey [TLG] this year in eight sets. These will be useful for adding detail to larger models, and right now they're a "nice to have" part. 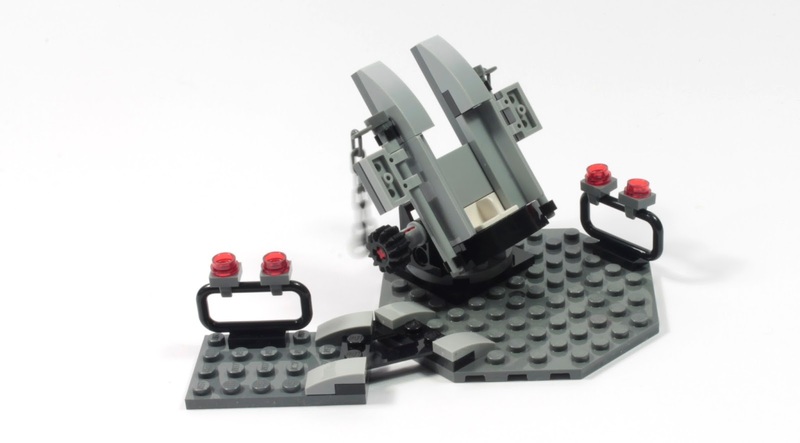 Rather interestingly, LEGO have gone for a modified design of the "tranquiliser" gun used in the Dino 2012 theme, turning it into a ray gun. I'm not a fan of either weapon, but the kids may like it. Finally we have the very strange Red [BL]/Bright Red [TLG] element, referred to in the movie as the Piece of Resistance. It's literally a joined pair of Red 1X1 bricks with a hole on one side for attachment. I suppose it makes sense to have this element specifically for the movie, but I'd be very curious to see if it has any other uses - and whether or not it will appear in other colours, as it would be great to use it for microscale or architectural purposes. At the moment you'll find this element in five other The LEGO Movie sets, as well as an Emmet polybag. Expect it to fetch ridiculous prices in the grey market. Emmet is pictured with the Piece of Resistance being carried on his back, with the help of a neck bracket. It could just as easily be a jet pack, if you prefer. There's a new flexible ribbed hose (Element ID 6056596 | Design ID 14301), currently exclusive to The LEGO Movie theme, and this is the least expensive set you'll find one in. 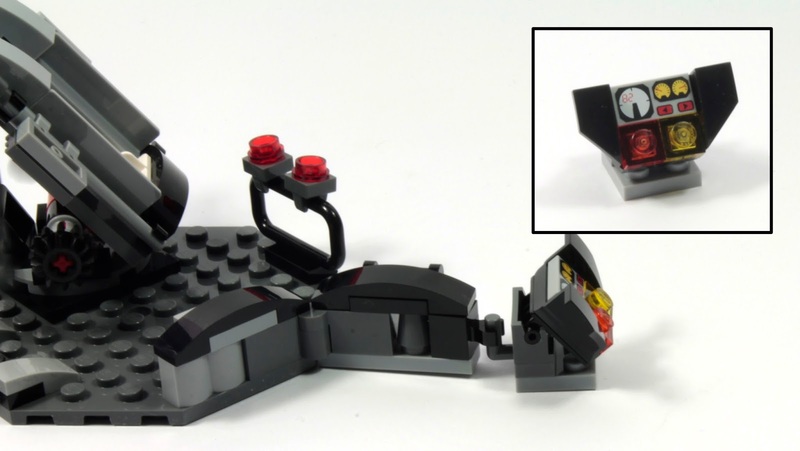 You can find four of these in 70813 Rescue Reinforcements. 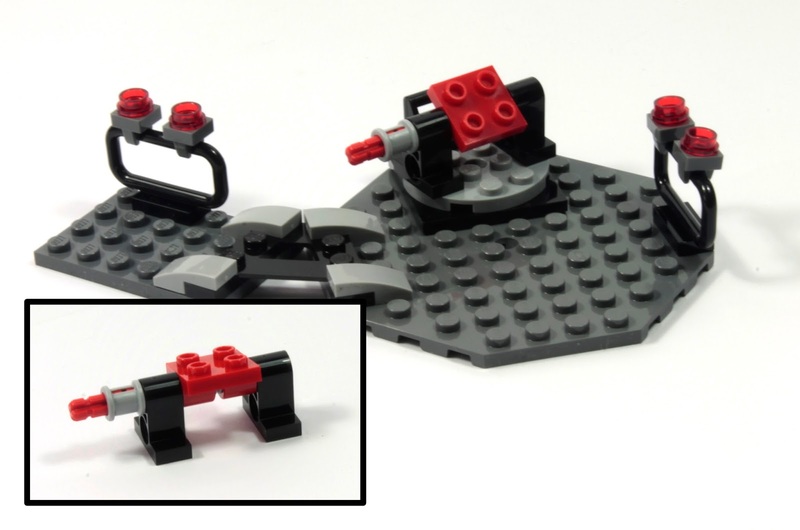 The Trans-Clear [BL]/Transparent [TLG] Technic belt wheel (Element ID 6062324 | Design ID 4185) isn't a brand new part as we might have assumed, but hasn't been seen in a LEGO set since 1992 (in 6419 Rolling Acres Ranch from the Paradisa theme). The largest element in the set is the octagonal 10X10 plate in Dark Bluish Gray [BL]/Dark Stone Grey [TLG], which is so huge it doesn't come in a plastic bag. There's also a potentially tricky part to deal with: what's called "Horse Hitching" (part number 2397), usually used for attaching horses to carts. Besides the models, the big sticking point for The LEGO Movie sets is obviously the minifigures. For a set at this price, it's interesting to see there are three included. As with Friends minidolls, Wyldstyle's head wear is wrapped in plastic because it's a rubbery part, incorporating both the hood and fringe. Pictured from left to right: Emmet (the hero of the movie), Robo SWAT and Wyldstyle (the lead female). Robo SWAT's cap and Wyldstyle's hood piece are unique to this set, so if you're a minifigure collector it's one reason to put this set on your list. You can see that all the minifigures have back as well as leg printing, and that only Wyldstyle has arm printing. 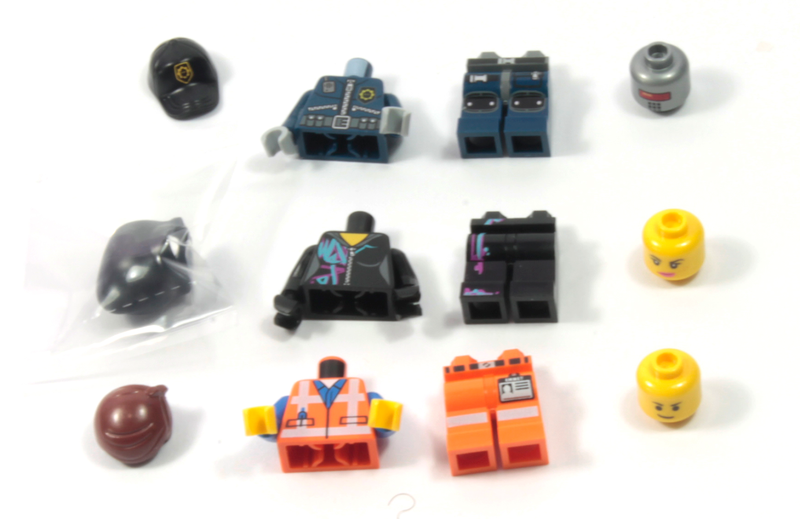 Both Emmet and Wyldstyle have double-sided heads, with the rear-facing print being adequately covered by their head wear. There's almost no distinction between Wyldstyle's expressions except for her eyebrows, giving the impression she's the dominant character. In fact, she's about to save Emmet from impending doom yet again, by being handy with the hatchet. Unlike many other sets at this price, we're given just one build to occupy our time. Immediately the A frame is put to use by attaching it to the octagonal plate. A fixed angle is created by attaching the other end to our 4x6 plate, then adding some fluff and hiding the A frame's obviousness by using the small curved slopes. As well as adding the two fence parts, we construct this device which tilts back and forth, to place onto a turntable. This thing right here looks innocent enough when we build it, and could be fashioned into a vehicle as an alternative build if you like - but once the chains are added it takes on a slightly darker meaning. 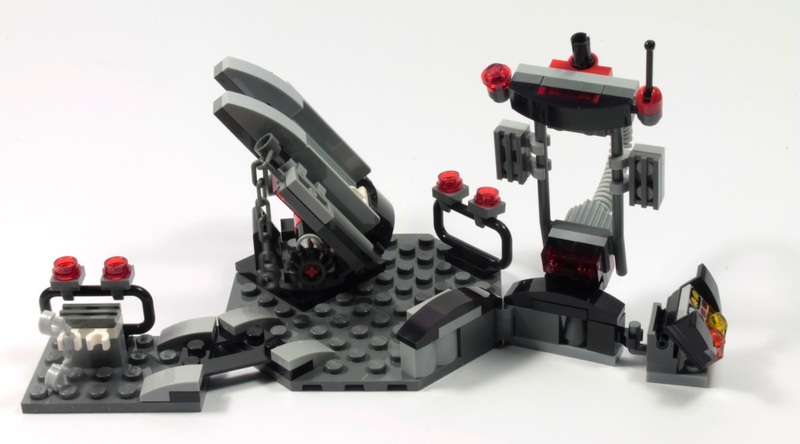 The potential vehicle-turned-torture-rack-launchpad is added on top of the tilting gadget, with the Trans-Red 1X2 plate providing a guide for fitting it. Note that an equally menacing looking Technic gear has been added to the Red axle, to make the rack easier to turn. For anyone who doesn't think there's enough restraining going on, we also have a handcuff rack to add, complete with handcuffs. You know, for when you want to really hold that sucker down. Here we add a control panel, which makes use of the first pair of Black curved slopes. 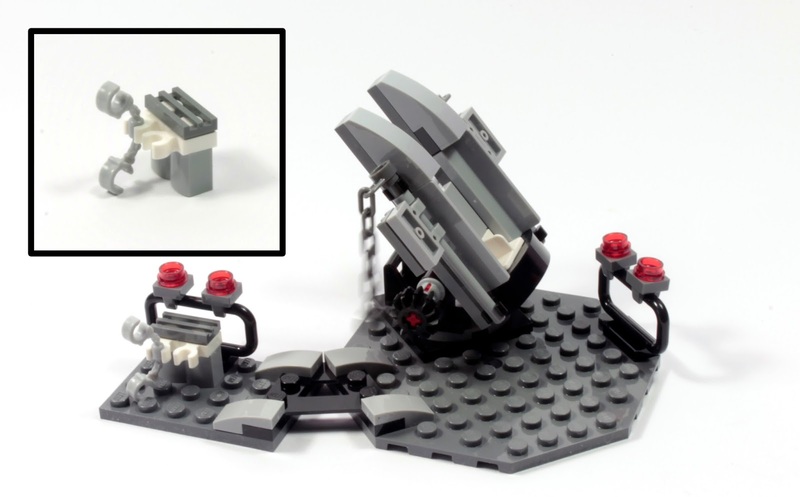 Unlike with the A frame, a hinged brick joins it to the octagonal plate to allow for folding and expansion. The main interface makes use of an otherwise useless Black mudguard and printed tile, and attaches to the expandable arm with a hook plate. This means you can turn the interface independently of the arm. Finally we can get started on a device even more menacing than the torture rack: the Big Bad Laser. At least, that's what it looks like. The horse hitching is used as the body, with all kinds of parts - including a grille 2X2 round brick in Medium Stone Grey - attached to it. The brand new hose connects both ends of the body, with one end being inserted directly into the grille round brick, and the other inserted into a Blue Technic half pin that goes inside of the Red hinge. The body of the Big Bad Laser hooks onto the expandable arm of the control panel, though you may have some trouble keeping things intact. The business end of the laser is mostly constructed from Technic parts, including that elusive transparent belt wheel. Though the use of the Trans Red bar is cool, a short antenna might have been a better choice (in my opinion). In any case, the laser attaches to the body using the Black friction pin. So now we have a better idea of what's going on, at least according to what's pictured. Robo SWAT is about to execute Emmet, or perhaps it's trying to destroy or remove the Piece of Resistance, and Wyldstyle is staging a daring solo rescue mission. She makes incredibly short work of Robo SWAT as a result, and tries to free Emmet before the laser warms up. Emmet: "Thank God you're here!" Wyldstyle: "SHUT UP! I'm not done with you yet!" Emmet: "H-hey, what are you..."
Wyldstyle: "You think I'm gonna let you go after what you said?" Emmet: "What-w-WAIT! I can explain..."
Wyldstyle: "Oh don't worry, you're not gonna die... yet." All of the parts likely to go missing or fall off the table have leftovers. If you wanted to give Emmet a weapon, the fire hose nozzle would be a good place to start. Even though I eventually gained a better understanding of the scenario behind this set through building it, I'd have to see the movie to better understand its significance (i.e. why this scene in particular was made into a set). The primary and only reason for purchasing this set, in my opinion, is if you're planning on collecting all the minifigures from the theme. As far as I know, many of The LEGO Movie sets have exclusive figures, and no doubt they'll fetch steep prices once the movie comes out and sets become discontinued. In this case, this set provides the (currently) exclusive hoodie Wyldstyle and Robo SWAT with cap, of which Wyldstyle is the most appealing. As for the build: the finished model is okay, in that it shows how the new A frame can be used in a model, as well as uses for other parts (such as the hose and belt wheel). There are no regular bricks at all in this model, which makes designing something else using the same parts rather difficult. For me, there also aren't many parts I can see myself reusing in other builds. 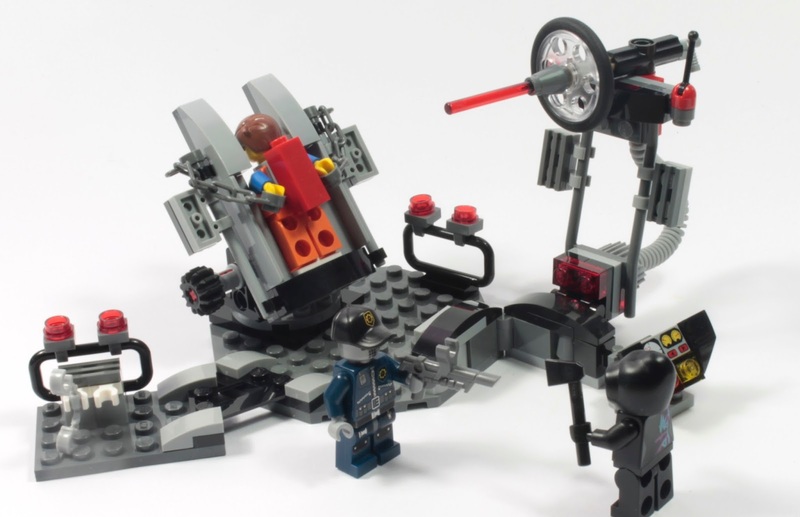 The kids may enjoy recreating the scene from the movie, or making up their own scenarios. 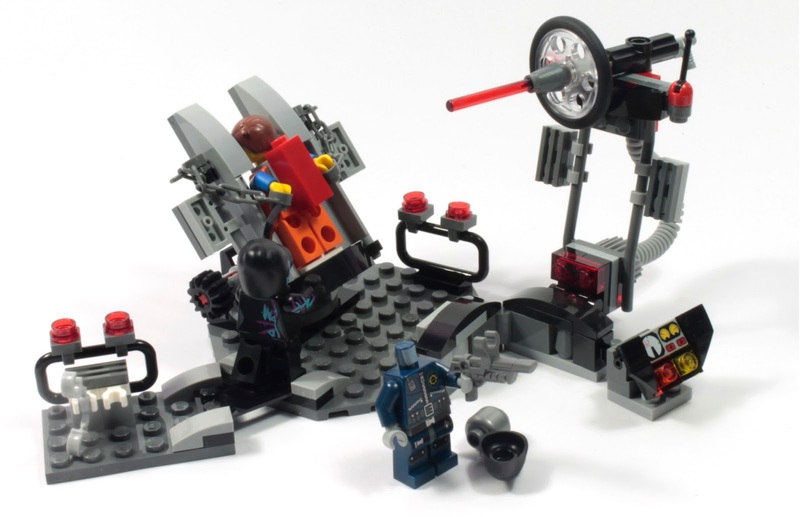 For me, it's a set I would purchase just for the minifigures. Wyldstyle demonstrates the hairdressing technology of the future. No more wasting time and money on expensive hair dyes and treatments: this industrial strength laser gives her the famous blue and purple streaks. 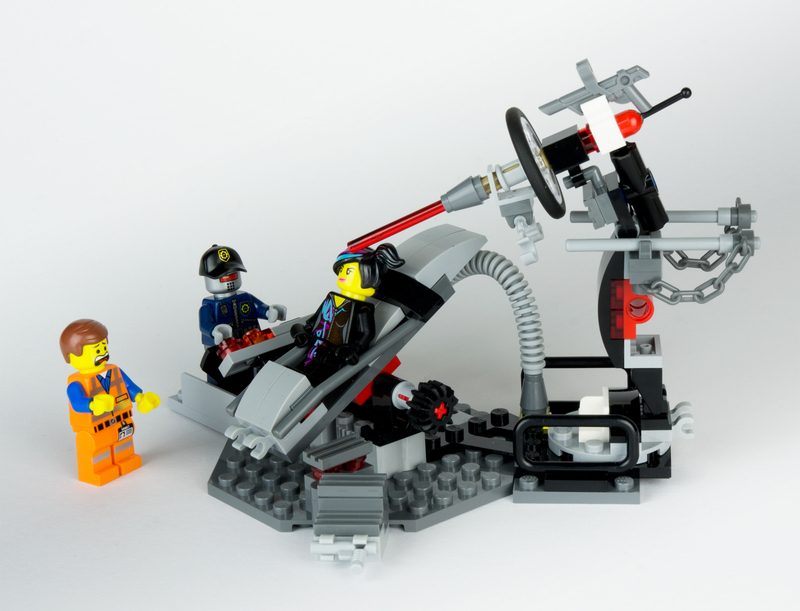 Our thanks to LEGO's Community and Events Engagement Team for providing this set. 70801 Melting Room retails at US$12.99/GB£11.99. That A-Frame piece kind of intrigues me, is it in any other sets? I can imagine it being quite useful in SNOT designs, maybe for swooshy rocket ships... although without any other similar bricks except maybe the hinge bricks (and having a fixed angle would defeat the purpose of the hinge), it's always going to have a slightly limited use. The scene seems to be a take on the famous scene from Goldfinger. And I too had that Goldfinger thought. "What I want, Mr. Bond, is for you to die." Or something along those lines. I will come to you to know the discussion which will be very effective to me to know about the Laser therapy. I want to know about the Laser therapy because I can take it. 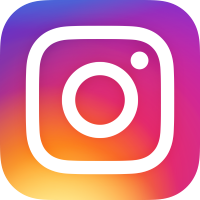 Hope that everyone must follow this post for knowing about the laser therapy. Because it is more effective to everyone who will take the laser therapy. Five Dock Back to Active, you have a weird sense of humor. Optical lasers or models with special detectors facilitate in overcoming interference from light; and then are higher for out of doors use. sturdiness for a optical device level has 2 aspects; it should last long so retain the accuracy over the time.